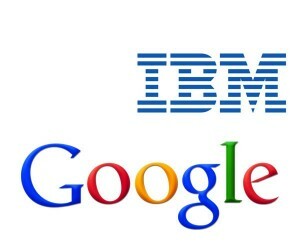 As the final days of 2011 came and went Google managed to add even more to their patent portfolio with the acquisition of 217 patents previously owned by href=”http://www.ibm.com/” rel=”homepage” target=”_blank” title=”IBM”>IBM. The move follows href=”http://google.com/” rel=”homepage” target=”_blank” title=”Google”>Google’s purchase of over 2,000 patents from IBM earlier in the year as well as the absorption of href=”http://www.motorola.com/” rel=”homepage” target=”_blank” title=”Motorola”>Motorola’s catalog of intellectual property after buying out the mobile manufacturer. 188 of the newly acquired patents are current while 29 are pending final application approval and cover everything from servers and data caching to how a mobile phone displays a webpage and deploys near-field technologies. The sale shouldn’t hurt IBM’s already strong patent portfolio. The 2011 number aren’t in, but in 2010 the company was granted over 5,000 new patents and will likely reach a similar number for this year past. The purchase does show that Google is still searching for a bit more security in the face of an upsurge in patent litigation throughout the tech industry.